Do you have a WordPress web site and need to learn WordPress fast? WordPress is used to power loads of websites and web blogs world wide, including web sites for many of the world’s most well-known organizations, educational facilities and most popular celebrities. WordPress also allows you to quite easily build, set up and manage powerful, professional and visually beautiful websites. 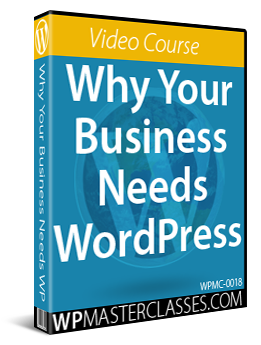 Actually, you’re able to use WordPress to create anything from commercial websites, individual blogs, affiliate marketing or service review web sites, to e-business sites, private membership websites … and even online networks! WordPress is not just the world’s most popular website CMS and online publishing program, it is also totally free to download and use! You could just pay someone like your website developer, or a web designer to take care of your website, but that can end up costing your business a lot of money, especially if you are running a small business, things are tight, and the things that need to be done take very little time to do and require no technical expertise, like making small content changes, changing settings or installing plugins or themes, etc. Learning how to use WordPress, however, has its challenges. Although there’s a lot of help and advice on line on using WordPress, a lot of it can be disjointed and consists mainly of tutorials and tips suited more for technology-savvy individuals such as web developers. It is easy to end up spending all of your precious time searching on the internet for answers, yet still end up confused. And then, of course, there are lots of things that YOU DON’T KNOW about WordPress! 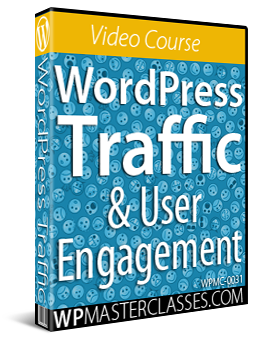 Things such as easy methods to configure WordPress to attract potential customers automatically to your website, plus time-saving strategies, applications and methods you can employ (normally without cost) to deliver your business BIGGER, BETTER, and FASTER results, and a whole lot more! 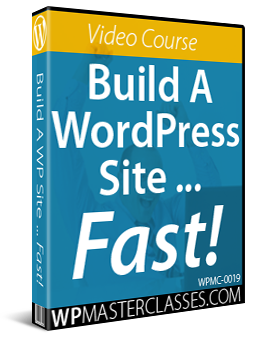 There really hasn’t been a complete step-by-step training system that you can follow to learn how to benefit from, maintain and expand a web presence fast and effectively using WordPress, particularly if you are not really technologically savvy … until now! WordPress allows you to control all aspects of your online presence, with no technical skills required … and for almost no cost! WPTrainMe is a simple-to-install, comprehensive and easy-to-follow WordPress A-Z training system. The WPTrainMe plugin provides access to many detailed step-by-step online tutorials addressing all aspects of working with WordPress from your own WP admin. The WPTrainMe online tutorials show you precisely how to install, set up, configure, customise, use, maintain, grow and profit with WordPress without making you jump all over the internet looking to find answers. WPTrainMe includes hundreds of useful step-by-step tutorials with thousands of screenshots, downloadable checklists, templates, accompanying videos and a lot more. Best of all … little or no techie expertise is necessary! 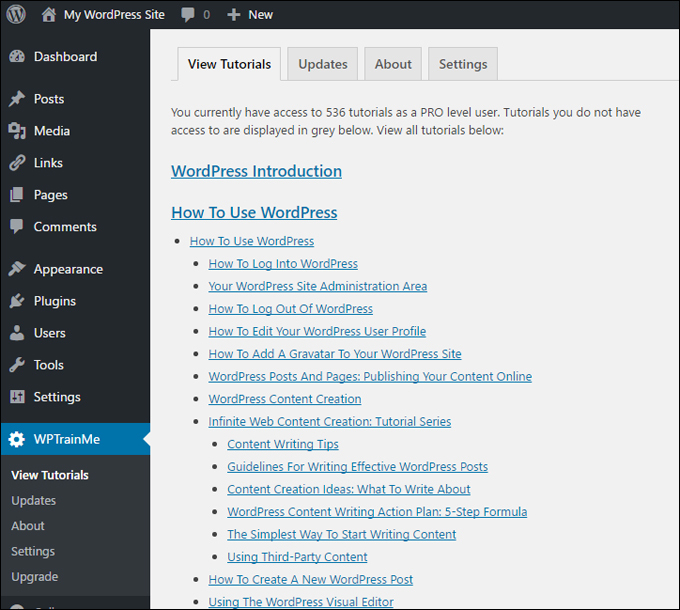 Everything you need to be able to work with WordPress is covered within the WPTrainMe lessons. And you’re able to access each of the tutorials instantly within your private WordPress dashboard as soon as you require any help with WordPress. All tutorials are specifically written for non-technical people, not web site developers or tech “geeks.” All tutorials are laid out in logical sequence with the help of navigation menus and search tools which makes the plugin easy to use and find what you are looking for. All the content and info has been made easy and simple to grasp and delivered with detailed screenshots and instructions. Links to related topics are also shown with each tutorial, plus related “over the shoulder” video lessons if you’d like to review the content. Even better, no coding experience is required to implement what you learn in the training. The plugin will provide context-related ”how tos”, so as soon as you require assistance with whatever section you’re doing work on, just click on the help tab inside the dashboard and a selection of lessons related to that particular component displays, delivering instant access to practical information on how to proceed. WordPress is continuously changing and evolving. With WPTrainMe, training content can be kept up-to-date to reflect any new WP application and functionality changes. Brand new tutorials are also regularly being added to the plugin to help you understand all that can be achieved using WordPress. As soon as new WordPress tutorials are added to the WPTrainMe system, they are automatically available to you inside the WP administration area. Save time: Everything you would like to know in order to master using WordPress is readily available in a single location and accessed with just a couple of clicks inside of the WordPress administration panel. Save money: WPTrainMe helps you to save hundreds of dollars on WordPress training. 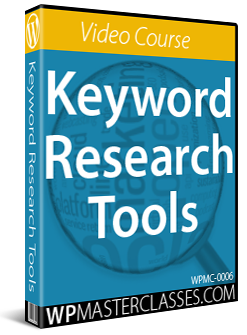 Most WP users will be hard-pressed to discover an alternative WordPress teaching program that delivers this much information and so much value for money. Learn WordPress on your own time: The tutorials are available 24/7 inside of your WordPress site’s admin area, allowing you to go through the information in your own time and within your own needs. The WPTrainMe tutorials help you understand all of the main WP functions and explain the most important facets of WordPress. Works on every device: WPTrainMe is built using a fully-responsive platform, enabling you to view the information from your personal computer, laptop computer, tablet or smartphone. Written by WordPress experts for general WordPress users: All tutorials are specifically written for non “tech savvy” WordPress users, presented in logical order and well interlinked with other related sections. 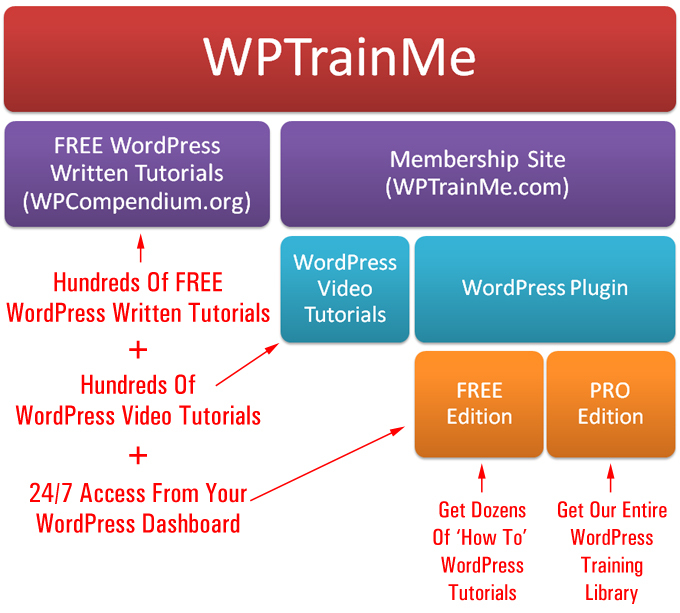 An in-depth WordPress teaching system: WPTrainMe tutorials feature hundreds of screenshot tutorials with step-by-step instructions, related video lessons, flowcharts, templates, check lists, additional downloadable information plus more! 1-click access: All you need to know to develop and maintain your own small business web presence is immediately displayed at the click of your mouse button within your own website or blog’s WP admin area. If your company needs to train staff to work with WordPress, then WPTrainMe is a valuable and time-saving instructional resource. Rather than spending a couple of hours showing your new staff members how to use WP to do things that they’ll most likely forget about soon after you’ve taught them what to do, just install WPTrainMe on your web site and show them how to access the training instead. This way, you will be encouraging them to educate themselves about all the things they need to know to use WordPress efficiently anytime they need. Because the WPTrainMe tutorials plugin acts as an interface to an online membership site where all of the training content is actually stored, the plugin is light-weight and utilizes minimal to none of your server’s resources. Additionally, the plugin is technically very well supported and comes with a detailed online user manual and videos that show you how to install and use WPTrainMe, in addition to FAQs and access to a support help desk. 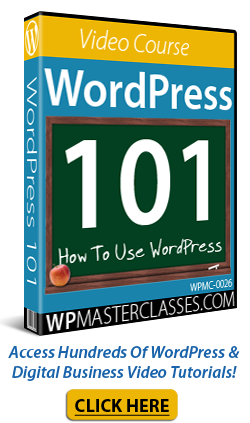 FREE – This provides you with access to dozens of detailed ‘step-by-step’ tutorials on using WordPress. Price = Free. PRO – This lets you access the entire WPTrainMe content library, which includes hundreds of step-by-step tutorials. Cost = $37 p/year. Please Note: Price details for the WPTrainMe plugin depends on whether there are any promotions or limited-time specials being offered. Presently, the software is being retailed for the pricing shown above. This may or may not be the actual pricing charged by the plugin author if you visit the plugin site. The WPTrainMe plugin allows the tutorials to be easily kept up-to-date when WordPress makes significant changes to features or functionality, as all of the tutorials is stored externally and delivered via the plugin’s interface. For more details about the WPTrainMe plugin, visit the WPTrainMe website. If you plan to start, grow and run a WordPress website or blog, then we recommend that you download the PRO edition of the WPTrainMe plugin, which gives you full access to all of the tutorials and updated training content. As an extra bonus, PRO users get a downloadable 250+ page step-by-step guide that explains exactly how to install WordPress on your domain, which is very useful, as you have to install WordPress on a domain before installing and accessing the plugin on your site.